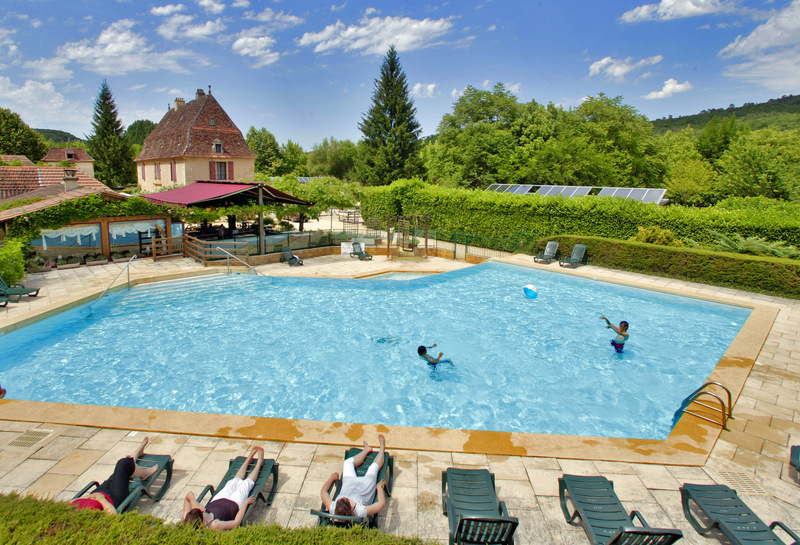 Intro by Campsite... 'Located in the Vézère Valley, in the heart of the Perigord Noir with its prehistory sites, a 10-minute walk from the centre of Les Eyzies, come and discover La Rivière. On the banks of the Vézère river, this former post house welcomes you with a variety of accommodation choices: whether you are staying in a tent, caravan, or mobile home, come and experience the joys of camping, where you will be assured of a memorable holiday. Restaurant, grocery store, picnic hampers, breakfast, bar, heated swimming pool, baby pool, children’s games, volleyball court, boules area, ping-pong table, private parking, laundry, free ironing station, half-sized tennis court (equipment included), walking trails, library, rental of infant accessories, free wifi at the reception, direct access to the river.